If you’re looking for something fun to do this Memorial Day Weekend, we highly recommend heading to Hotel Colorado for their BBQ, BLANKETS & BAND event on Sunday. The Hotel will be kicking off the summer by opening the courtyard and firing up the grill for a Bar-B-Q with all the fixin’s. Western and Americana musician and author (and good friend of ours) Jon Chandler will be putting on a live concert with his band, the Wicitones. Jon just recently won a Western Writers of America Spur Award for his song Linwood, a tribute to the final days of the infamous Doc Holliday. The song is part of Chandler’s newly-released CD The Grand Dame of the Rockies—Songs of the Hotel Colorado and the Roaring Fork Valley, which was commissioned by the Hotel Colorado. Warm weather, professional entertainment, and tasty food. What more could you ask for? 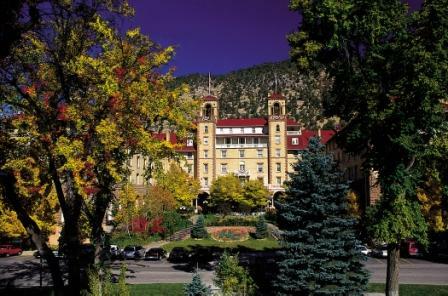 Lots of exciting events coming up this summer at Hotel Colorado, so we’ll be sure to keep you updated!